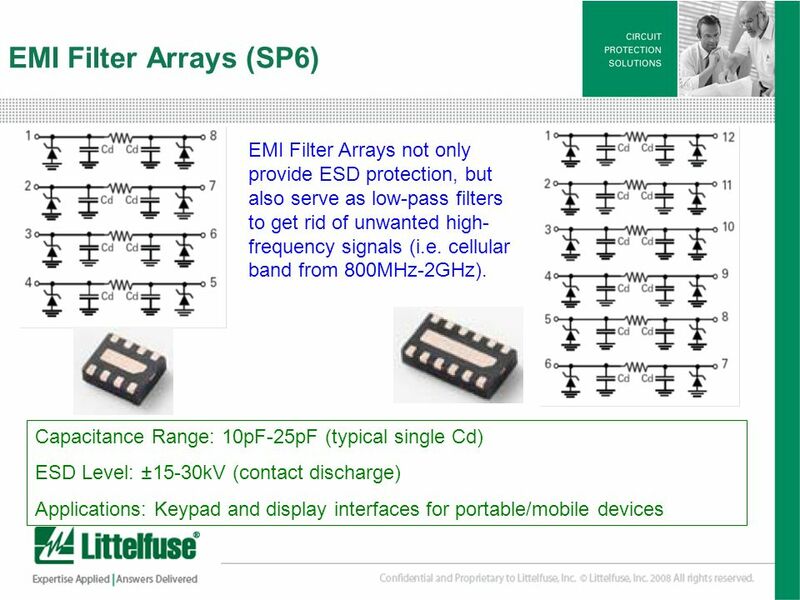 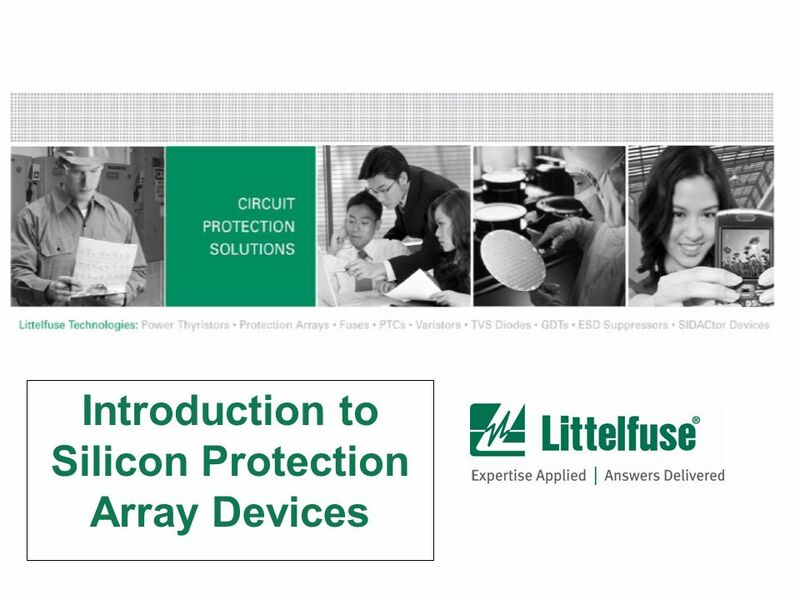 Introduction to Silicon Protection Array Devices. 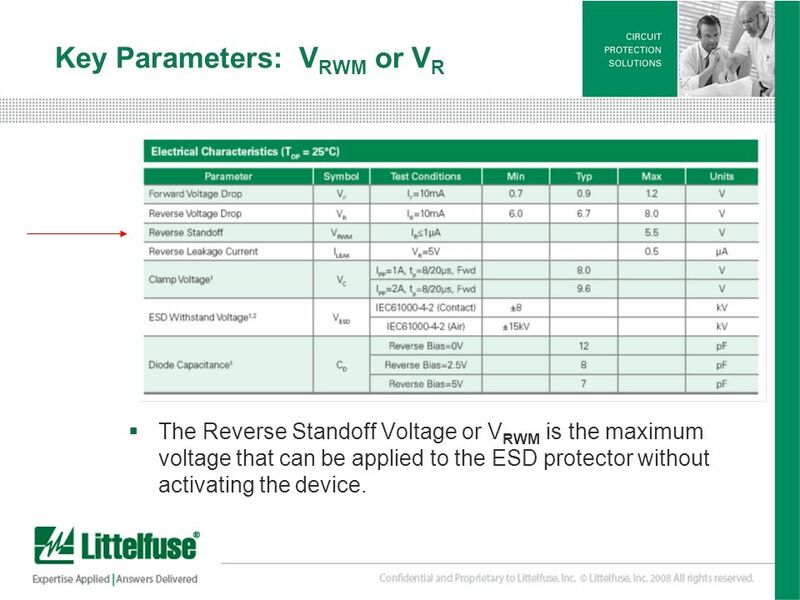 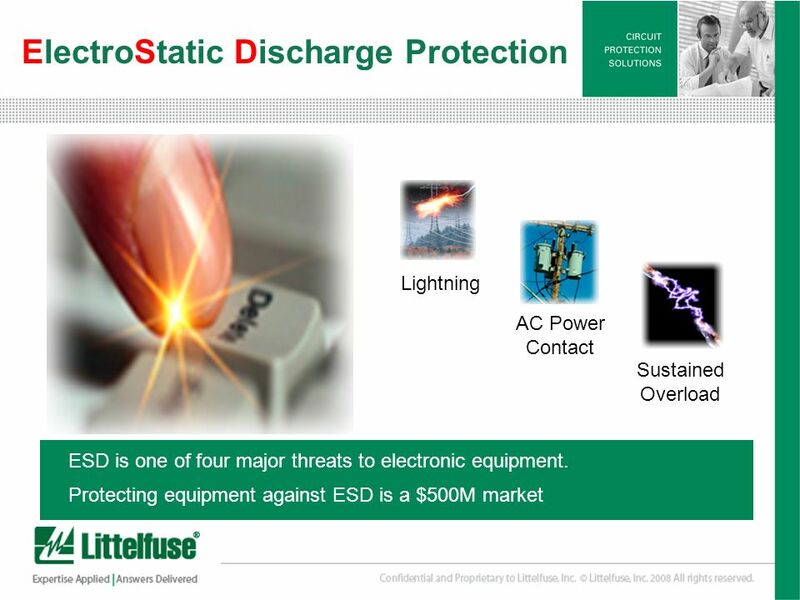 7 7 Version01_100407 Key Parameters: V RWM or V R The Reverse Standoff Voltage or V RWM is the maximum voltage that can be applied to the ESD protector without activating the device. 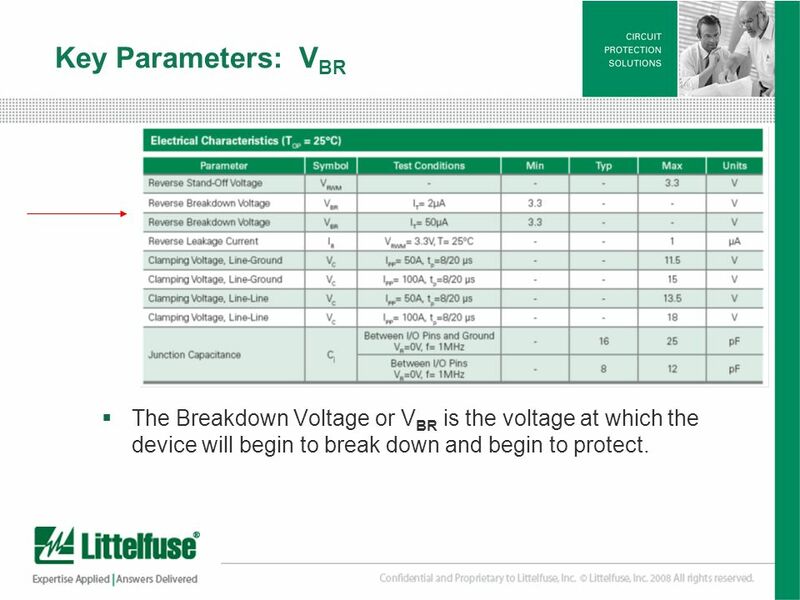 8 8 Version01_100407 Key Parameters: V BR The Breakdown Voltage or V BR is the voltage at which the device will begin to break down and begin to protect. 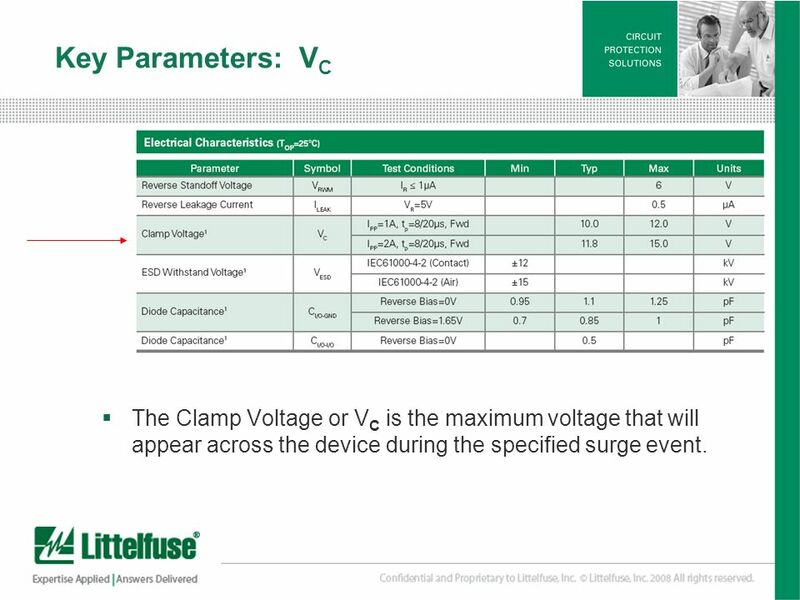 9 9 Version01_100407 Key Parameters: V C The Clamp Voltage or V C is the maximum voltage that will appear across the device during the specified surge event. 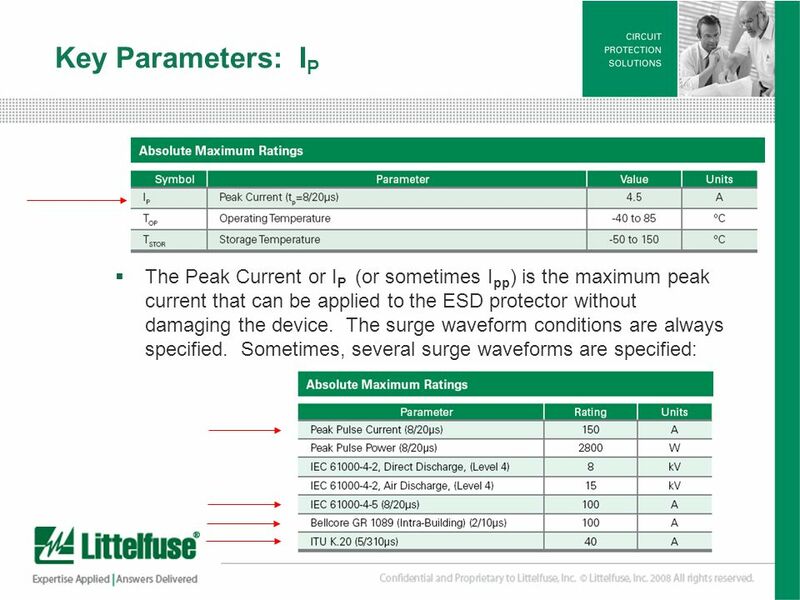 10 10 Version01_100407 Key Parameters: Capacitance Capacitance adversely affects high data rate signals. 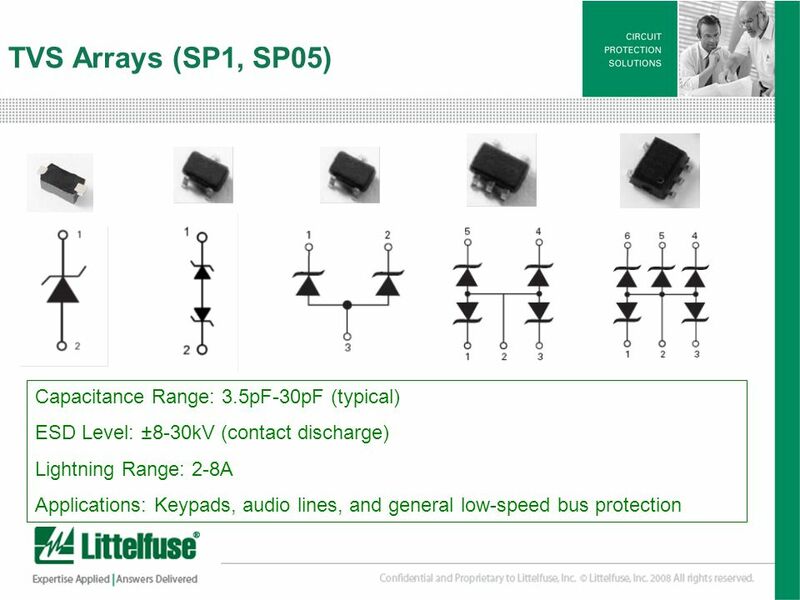 Lower capacitance s always better. 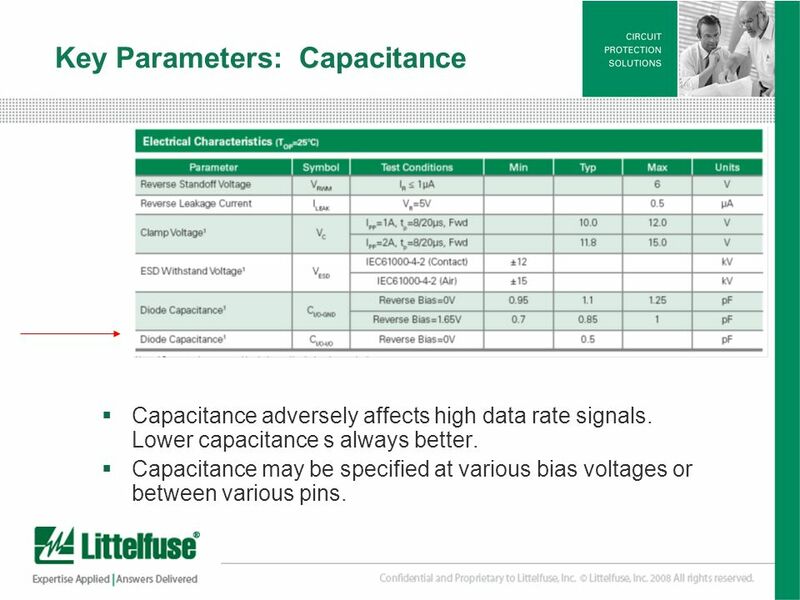 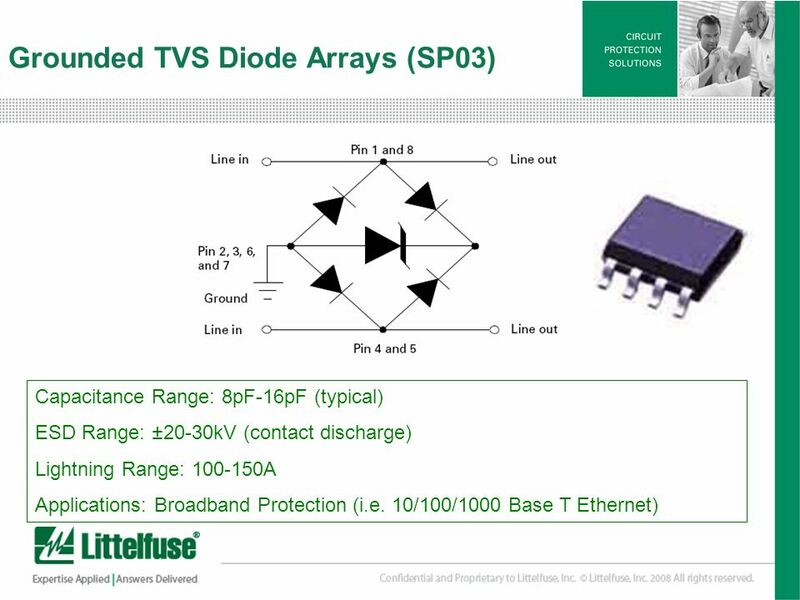 Capacitance may be specified at various bias voltages or between various pins. 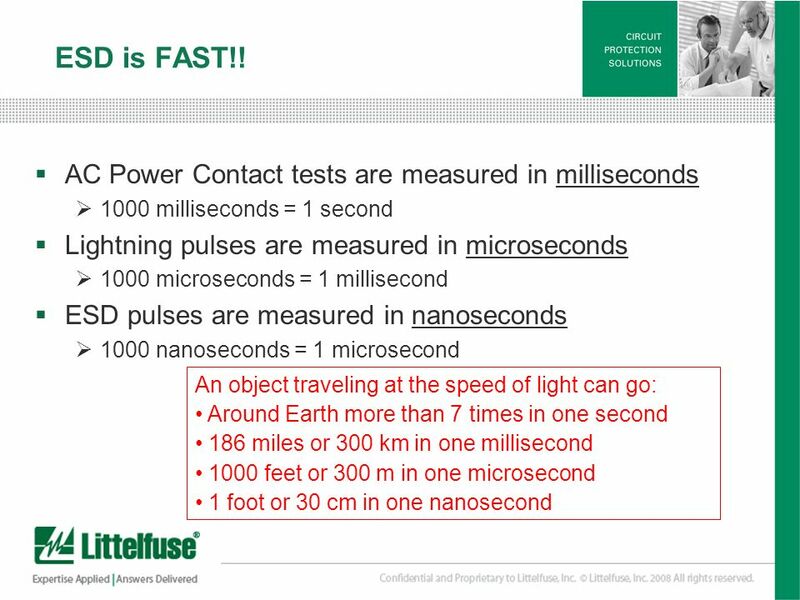 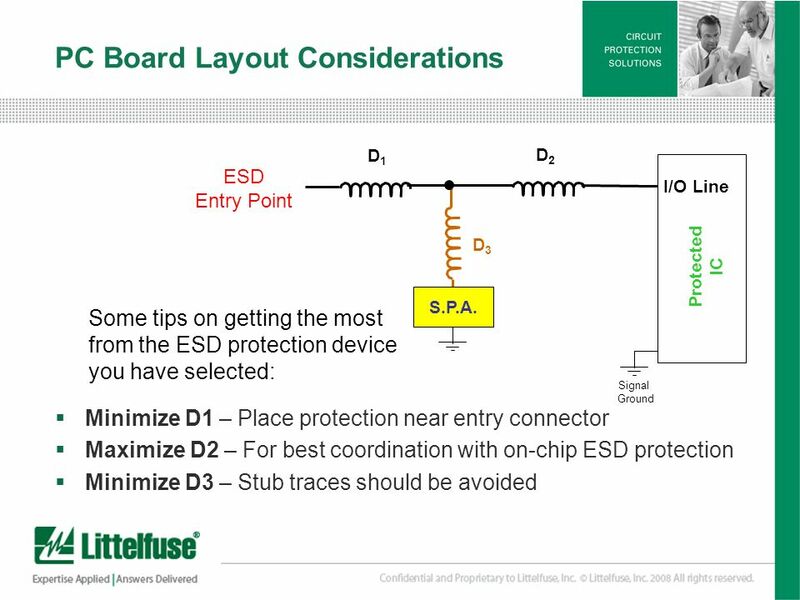 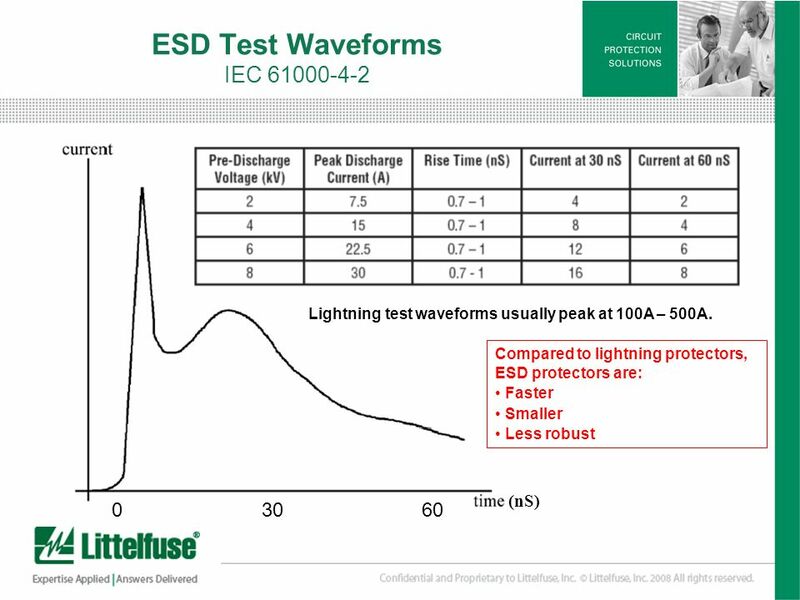 11 11 Version01_100407 Key Parameters: V ESD V ESD is a measure of the robustness of the device. 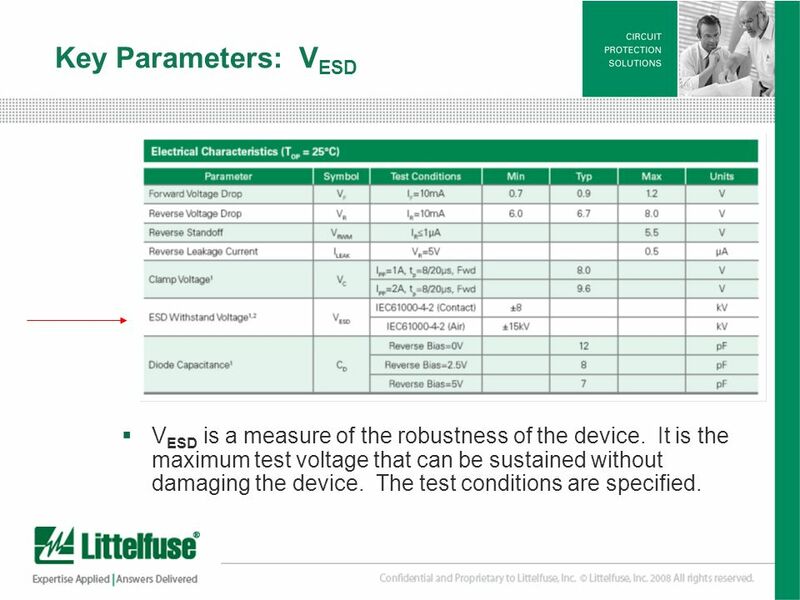 It is the maximum test voltage that can be sustained without damaging the device. 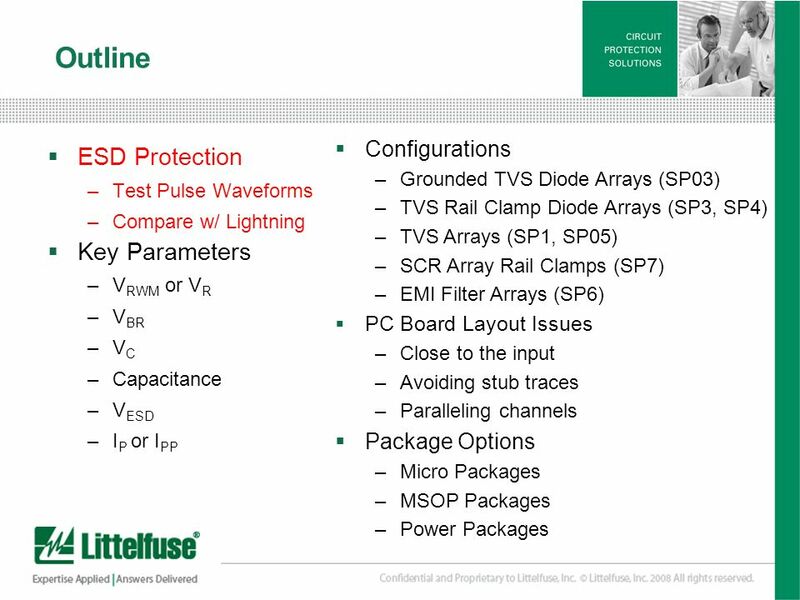 The test conditions are specified. 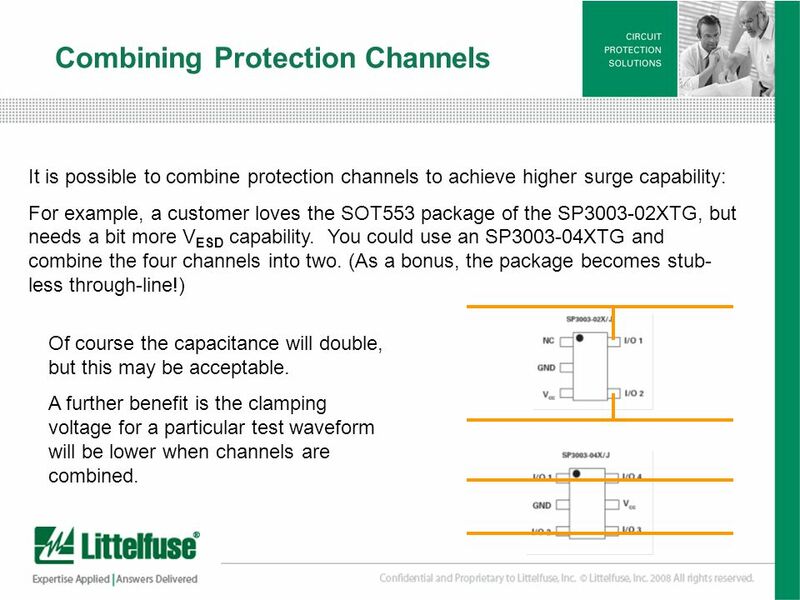 21 21 Version01_100407 Combining Protection Channels It is possible to combine protection channels to achieve higher surge capability: For example, a customer loves the SOT553 package of the SP3003-02XTG, but needs a bit more V ESD capability. 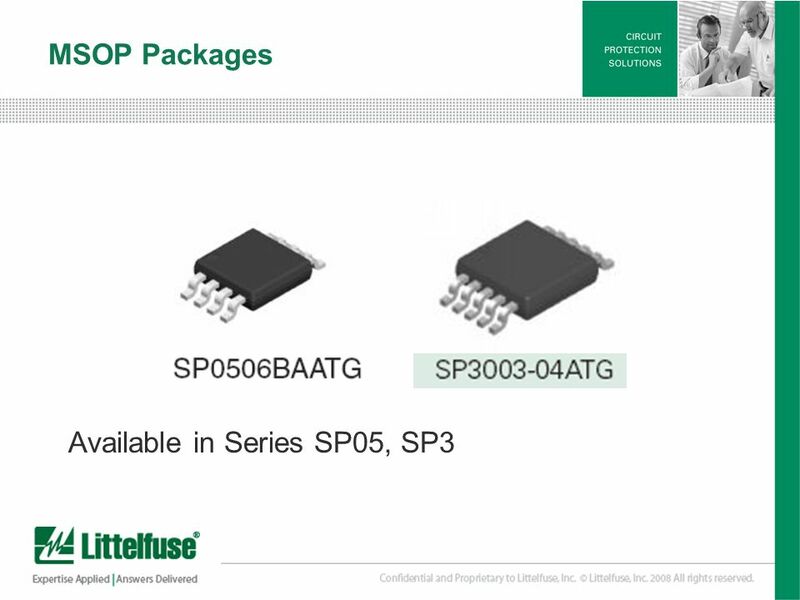 You could use an SP3003-04XTG and combine the four channels into two. 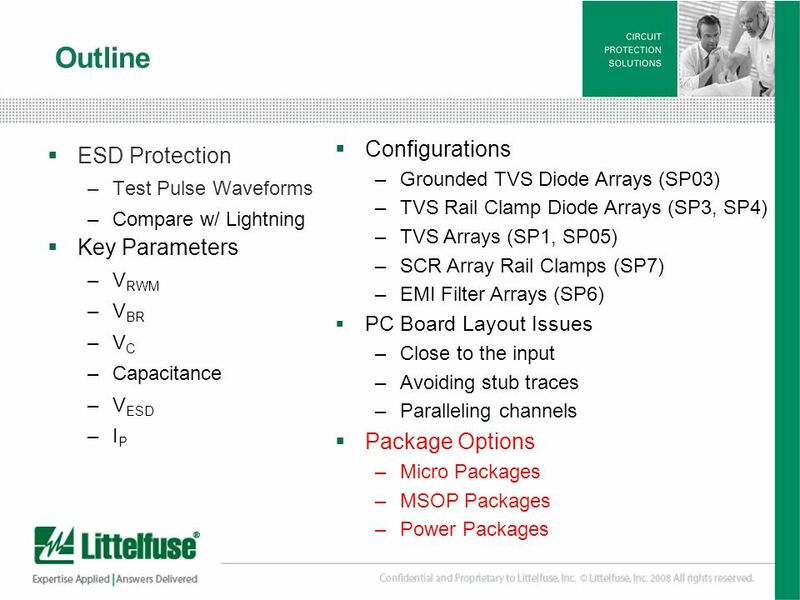 (As a bonus, the package becomes stub- less through-line!) 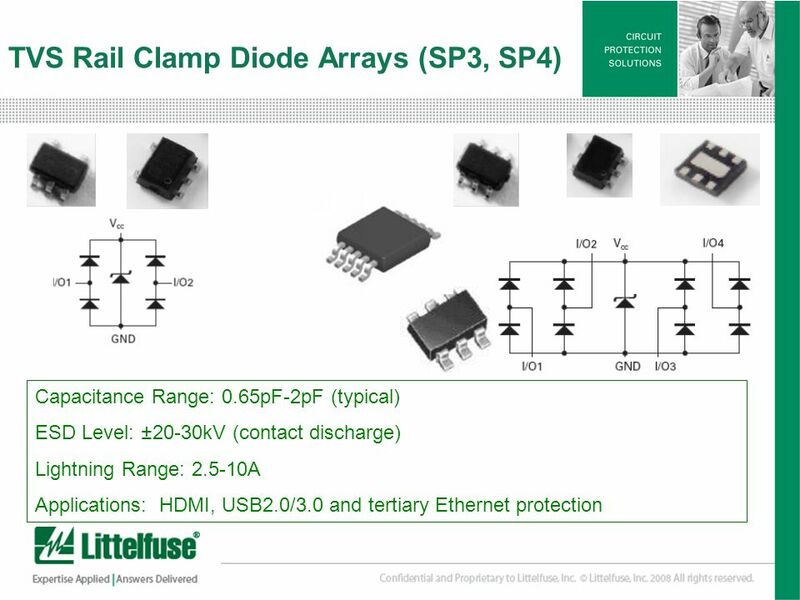 Of course the capacitance will double, but this may be acceptable. A further benefit is the clamping voltage for a particular test waveform will be lower when channels are combined. 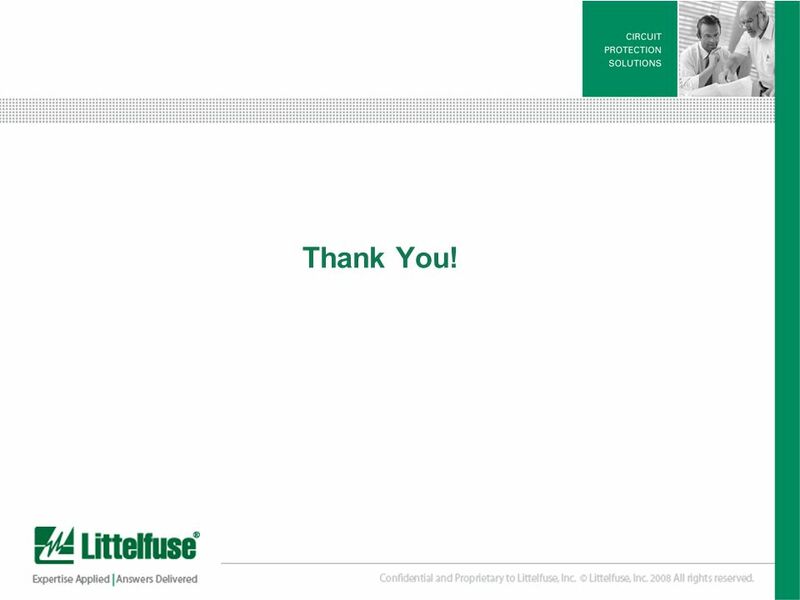 26 26 Version01_100407 Thank You! 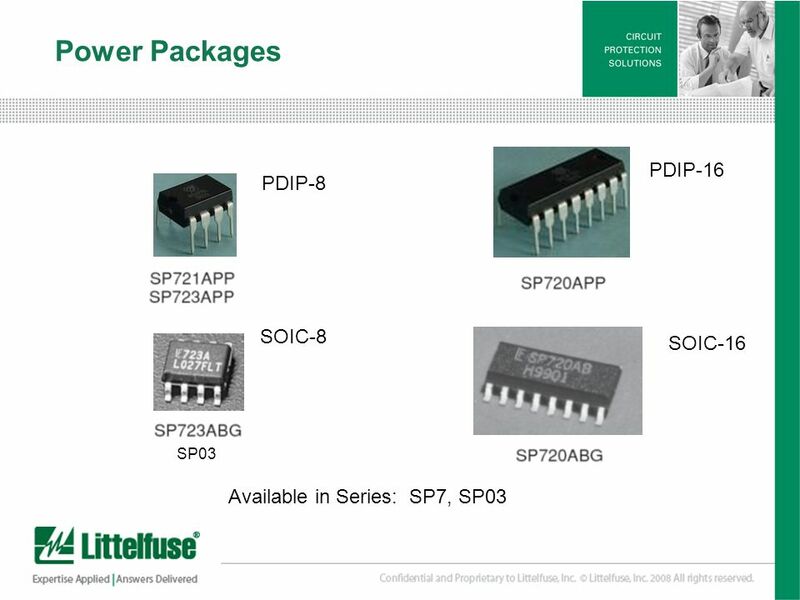 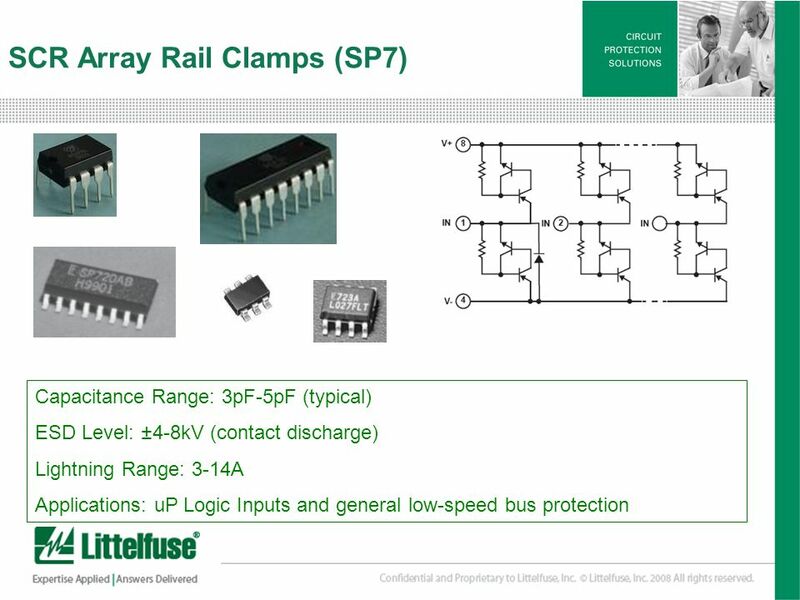 Download ppt "Introduction to Silicon Protection Array Devices." 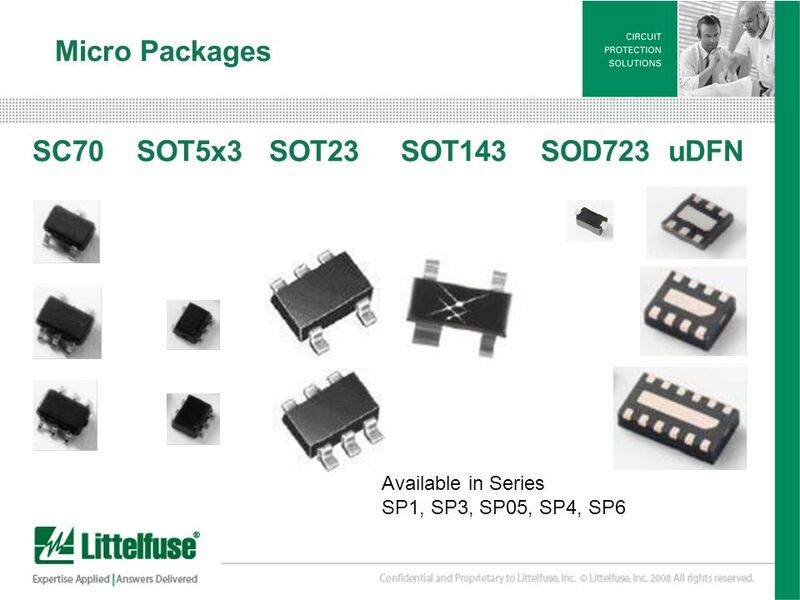 Adders Used to perform addition, subtraction, multiplication, and division (sometimes) Half-adder adds rightmost (least significant) bit Full-adder.